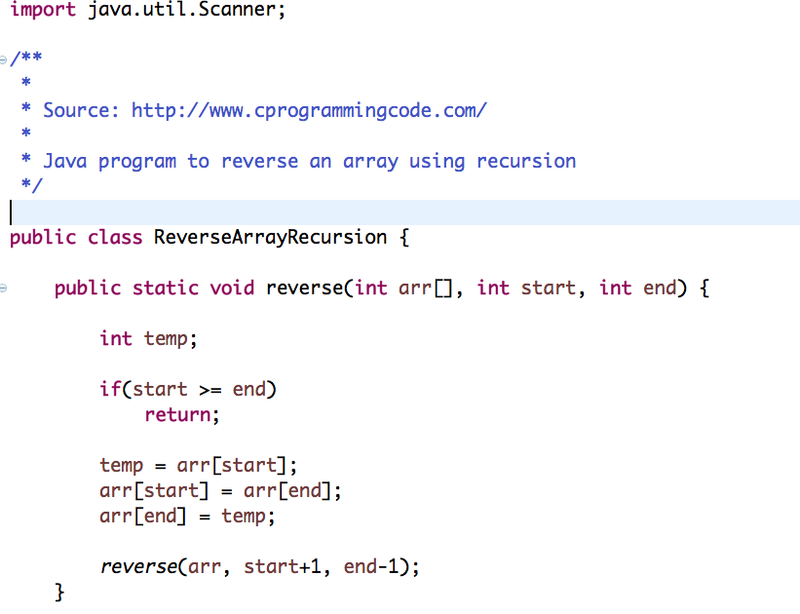 Write a java program to reverse an array using recursion. Given an input array, we have to write a java code to reverse an array using recursion. In this tutorial, We are going to solve this problem using recursion. Recursion is an important programming concept, if you are not familiar with recursion concept then you can check this tutorial on recursion. Let's write a java code to reverse an array using recursion.